Submitting a Popeyes application is the easiest way to kick-start a new and exciting career. With a wide variety of Popeyes jobs available, there will be something for anyone looking to join an established company with a truly global reputation. The franchise promotes a culture of servant leaders, with development opportunities for all employees. The story began in 1972, when founder, Al Copeland, started a fried chicken restaurant in local Arabi, Louisiana. Proudly staying true to their New Orleans roots, the company is well-known for its zesty attitude and exciting taste. Popeyes is a worldwide concern, with franchised restaurants now as far flung as the Middle East. The development and aspirations of staff is a key principle. Employees enjoy working in a respectable and fun atmosphere, and can always depend upon the company for guidance and training. The company has always stayed true to a belief that employees are the most effective assets in promoting brand values. 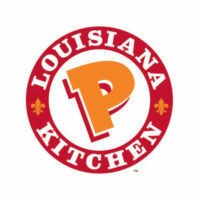 You’ll find Popeyes Louisiana Kitchen Inc. traded on the NYSE as PLKI. It is one of the largest franchised chains of this type on the globe, with over 2000 restaurants located across the world providing a taste of Louisiana food to millions of people. Career pathways are split between restaurant based roles and those functioning from the Support Service Centre. The restaurant is the action end of the business, where brand, service and quality is essential in generating footfall and sales. If you are looking for a hand-on role where you can interact with customers and learn about professional service, this is for you. The Support Service Centre is a hub of operational activity – where ideas are generated and innovation is actively pursued. There are many unique roles available, from Business Consultants to Profitability Specialists and Managers for Global Development. The customer-facing and corporate wings work side by side to ensure that Popeyes continues to be successful. How old do you have to be to work at Popeyes? At 16 years old, you can start work. However, you should note that age restrictions on certain positions can vary; for example, you will need to be at least 18 before you can become a Shift Manager or Restaurant Manager. Check this before you make a Popeyes job application. In addition to free lunchtime meals and a product discount, employees can also benefit from flexible hours policies. The job training at Popeyes is considered to be thorough and engaging, and staff members are encouraged to pursue professional development. Other benefits include reduced or flexible hours, and a generous provision of paid vacation. Restaurants generally operate 7 days a week. Although the trading hours can vary from store to store in various locations, the typical opening hours are from 10:30am to 10:00pm. The Restaurant Support Service Centre operates in line with standard office hours, but certain roles may stay operational in line with the Restaurant opening hours. Crew Member – If you can think on your feet, representing the brand in an enthusiastic way, you’ve got what it takes to be a Popeyes Crew Member. Leading the line, you’ll be serving customers first hand – taking orders, preparing tasty food and offering a service worthy of the logo. Wages are usually between $8 and $10 per hour. Shift Manager – A Shift Managers role could be considered as a tentative step into business management. This is a job for those who can work unsupervised and under pressure, running shifts and leading colleagues whilst maintaining high standards of service and safety. The typical hourly rate is around $11 per hour. Restaurant Manager – Lead, motivate and inspire. The Restaurant Manager is responsible for all aspects of store operation, from hiring and training staff to maintaining sales and generating sustainable profit. In this challenging role you could expect to receive an annual salary in the region of $27k to $50k per annum. District Manager – Leading a restaurant staff takes guts. Motivating all the Restaurant Managers in your area to continue to project enthusiasm and service into the brand takes something even more special. Responsible for the overall performance of the stores and managers in their catchment, District Managers’ salaries can start at $73k per annum. For information on more Popeyes careers, or to download a free application form, or even to apply online with a direct application, be sure to check out Popeyes jobs online using the link below. What is your proudest memory? This is a neat way to learn what someone cares about in terms of success. Try to pick something to do with serving others. The interviewer wants to see that you value the rewards associated with hard work and dedication. Have you ever had to resolve a conflict? An important question, particularly if you are going for a leadership position. It’s a common one too, so it is definitely worth preparing an answer beforehand. However trivial the instance, link it to a scenario you might have to deal with in your prospective role. Why do you think customers choose us? Really, they are asking why you have chosen to fill out a Popeyes application. Think about what it is that makes Popeyes different to other restaurants. Do your research and talk about the company’s principles and culture. How would you describe your strengths? The old favorite – though the one that makes the most people stumble. Don’t be afraid to toot your own horn – humbly, of course. You’ll need to highlight aspects of your personality that present you as someone who is easy to work with and will do a good job. So, why do you think I should hire you? This looks like a curveball, but it’s a blessing in disguise. You have a chance to reel off the things that make you wonderful, and what you can bring to the workplace. Stay professional though – it’s the pressure factor here that interests the interviewer. You can submit an online application or fill out a printable application form using the download application form option on the company website. The link below will guide you on how to apply for Popeyes online. The process is simple and convenient. Make sure that you have read and understood all of the responsibilities listed in the job description before you apply for jobs at Popeyes. Go over it a few times if necessary. Your resume should be honest and clear, as you may well be asked questions on your experience, or even go into greater detail. Your interview will usually last between 10 and 15 minutes, and it is possible that you get a decision straight away. Interviews for management positions can take a little longer, but whatever your chosen role, do your research and pay particular attention to your own resume – it may be that your interviewer brings a copy of your printable application for Popeyes. This is an industry which has frequent job opportunities that receive many applications. Present yourself with the best chance of employment by remembering to stand out from the crowd as a professional. Do not forget to add thanks for the company’s consideration. Good luck!